This entry was posted on November 24, 2014 by Andie Pantazi. Packing light is necessary for any college student committed to going on a well-deserved after surviving a grueling fall semester. With a well-curated backpack or suitcase, you can easily chase down your scheduled flights or train rides to your holiday destinations with ease. But packing involves making really complex decisions because everyone has varying ideas on what they want to bring for their trip. But through this handy guide on how to pack wisely for your winter break getaway, you can discover the ways on how to edit the items in your travel bag without breaking your spine or your sanity. If you want to breeze through airports without having to check your bag separately, choose a carry-on bag . It must be strong enough to withstand a lot of motion, and light enough that it won’t feel too heavy when you fill it with your stuff. While it’s easier to browse and shop for travel bags online, it’s better to test one out in a physical store so you will be able to compare potential bags and gauge which one best suits your travel needs. Most carry-on bags are deceptively small, but they can actually carry a lot of stuff with the right packing techniques. Make your bag as dense as possible by folding and then rolling your clothes to maximize the available space in your carry-on. Editing is also important when packing for a winter break trip, so think of your destination and pack only the clothes and accessories you need that will suit the climate of where you’re going. Don't pack anything else that will only take up unnecessary space in your carry-on like costume jewelry or bulky jackets. 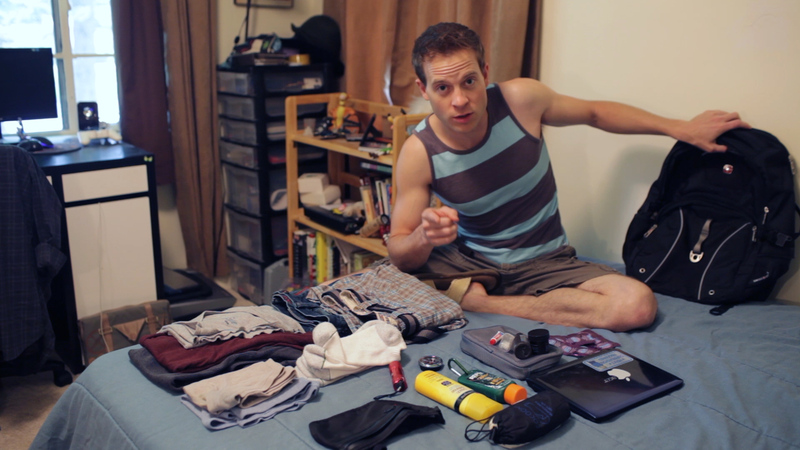 Here’s a great tip when you’re packing: follow the rule of thirds. Pack three good shirts in light, wrinkle-resistant fabrics and three pairs of your socks and underwear to serve as the basis of your carefully curated travel bag. You can easily wash these items at your winter break destination, so you won’t have to bring a lot of stuff along. For leg wear, you can get more mileage by just bringing along two pairs of sturdy pants or shorts, and some shoes. Leave behind towels and toiletries if you’re going to a place that provides them. There will always be the temptation to bring along some stuff that you likely won’t need that much during your trip, and playing the “what if” game will just add unwanted stress on your mind. For example: it’s not necessary for you to bring your bulky laptop when your tiny smartphone can easily suffice as a tool to get you connected with your loved ones back home. Keep in mind to only bring things that you’ll use on a regular basis and leave out items that you can simply buy during your winter break getaway. У нашей организации классный блог , он описывает в статьях про https://militarycenter.com.ua.